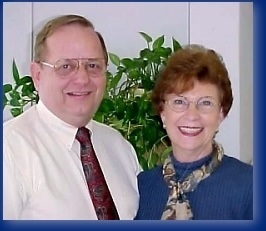 About | Dunn & Associates Insurance, Inc.
George D. "Sandy" Dunn and Diane M. Dunn founded the company, which has grown to a full service insurance agency, serving the area for over 45 years. Dunn & Associates Insurance, Inc. serves the insurance needs of individuals, families and businesses throughout Florida. Our office includes a state-of-the-art computer system for record keeping and production. This helps us rate quickly and accurately, and also allows us to track your payments and policies to keep them up to date. We are committed to a high standard of excellence and we strive to establish a firm relationship of mutual trust and service with each client. We will provide you with a complimentary, no obligation review and comparison of your insurance. We analyze your insurance needs from information provided. In other words, we work for you. Make Dunn & Associates your ONE STOP INSURANCE STORE.